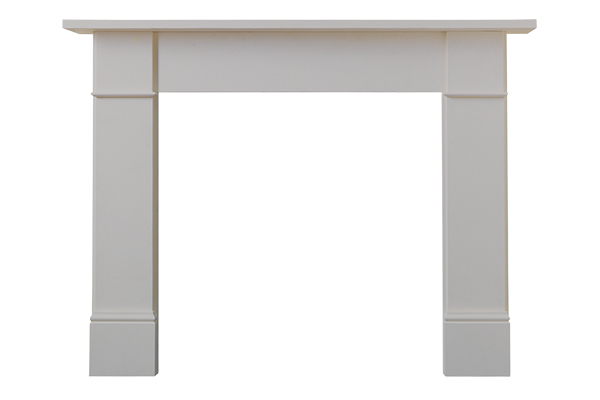 The Flat Victorian mantelpiece is manufactured in Pure Limestone from Turkey. 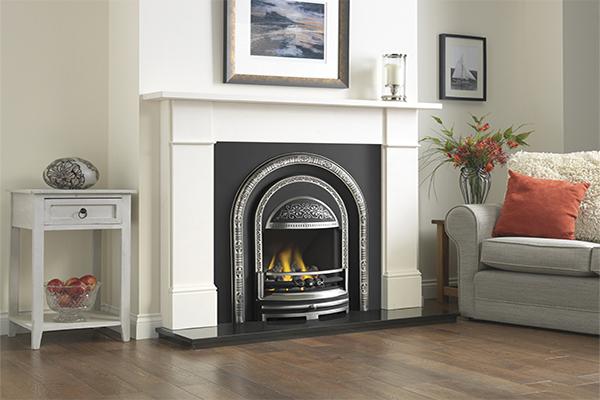 Whilst the mantel design has been around for 150 years, its simple design allows it to suit contemporary settings also. The Flat Victorian is also available in polished or honed Black Granite. 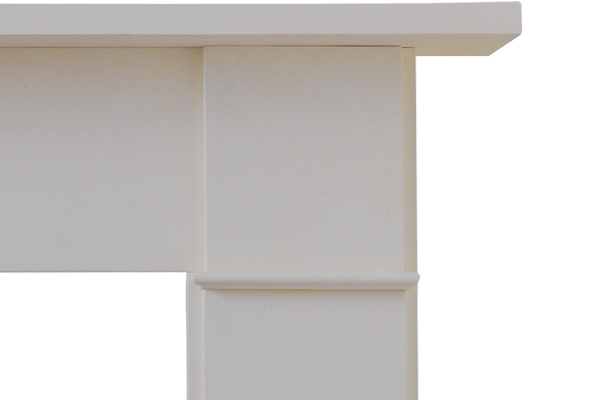 This mantel has a top shelf length of 1500mm (59″) and will comfortably fit onto a standard Granite Hearth 1450mm x 430mm (57″ x 17″). The Flat Victorian is also available with a top shelf length of 1350mm (approx. 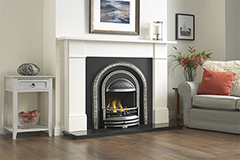 53″) for those with a smaller chimney breast and suits a standard Hearth 1300mm x 380mm (approx. 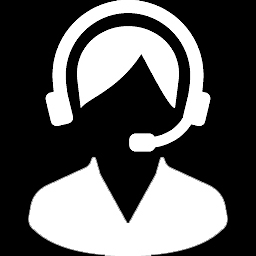 51″ x 15″). 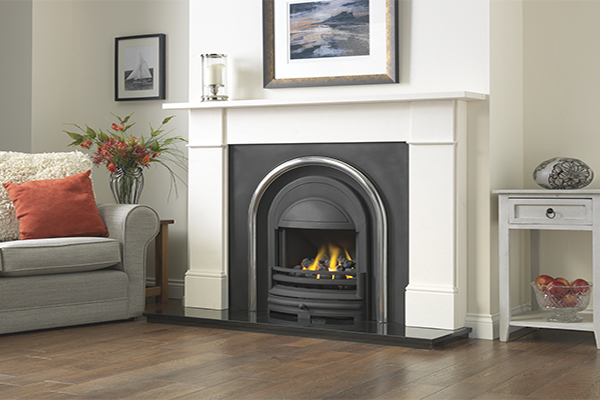 Please note that hearths used with a solid fuel fire may have special requirements to allow for expansion and regulations. 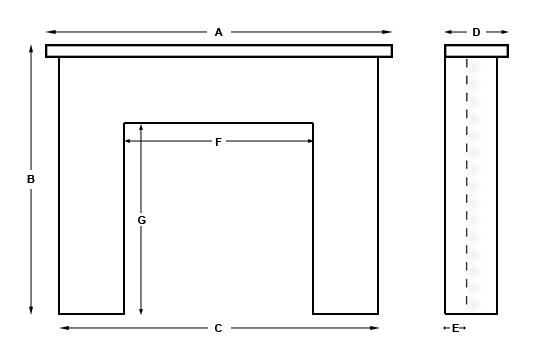 Mantel legs can be moved closer together or further apart on fitting to change the size of the fireplace opening.